A good place to start is to compare your furnaces age to the national average. The average life expectancy of furnaces in homes today is between 16 and 20 years. 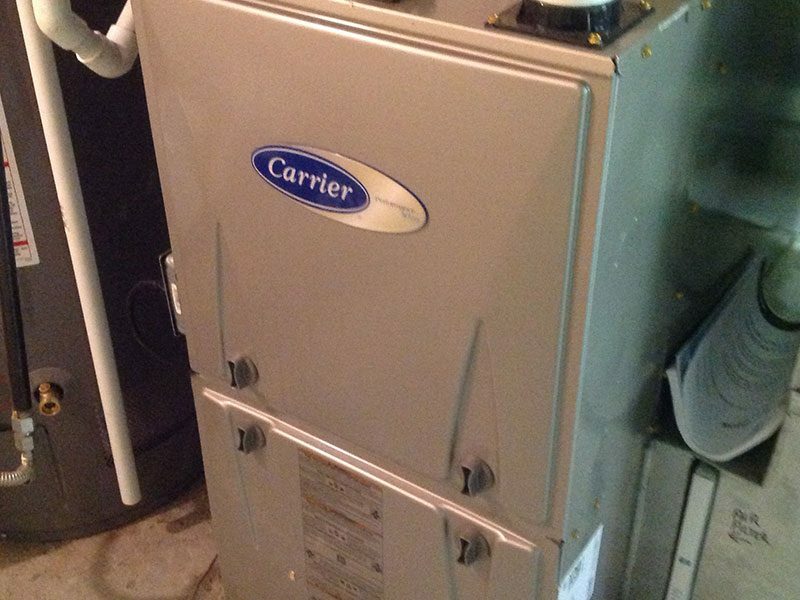 If your furnace is close to this age or older, you should begin shopping. Shopping for a replacement furnace in an emergency does not allow time to make your best decision. Most people prefer to replace their furnace as a planned home improvement rather than a panic replacement when your furnace is faltering or failed. For starters, look at your furnace to see if you have a pilot light. If you do, it is almost certain to be over 25 years old! 2. Gas & Electric Bills Going Up? Rising gas and electric prices are not the only reason for high bills. Furnaces often lose their efficiency as they age especially if they have not been properly maintained. As a result, your furnace may run longer to provide the same amount of heat. This will cause your gas & electric bills to go up. The money you pay the gas & electric company every month could be used to pay for a new furnace. 3. Any Furnace Repairs in the last 2 years? Furnaces are like cars. As they age, you can replace one part only to have to replace another part next year. It doesn’t take long to spend $500 just to keep the old furnace running. Furnaces incur the most breakdowns in the last 2 years of their lives. Another repair sign is whether you had to wait to get parts replaced. As furnace ages, it gets harder to get replacement parts. This waiting can really be cold on a below zero night. A partial flush or slow, poor performance flush could indicate several things, some of which can be assessed on your own with a little DIY toilet bowl know-how, and some of which require the intervention of a trained plumbing specialist. 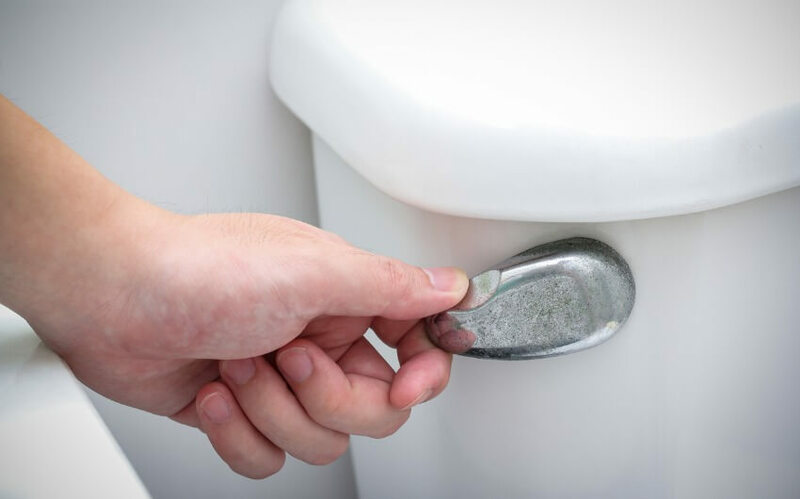 A partial flush is usually the result of an over-saturated or faulty flapper valve (essentially, the opposite of a poor flapper seal, which is the leading cause of running toilet problems). When a flapper valve becomes over-saturated, it closes over the water flow pipe prematurely, cutting off flow to your bowl. If your valve closes before roughly 80% of the tank’s water has been flushed through your bowl, it’s probably time to replace your valve. Matters may be more serious if your toilet is flushing slowly, as opposed to partially. 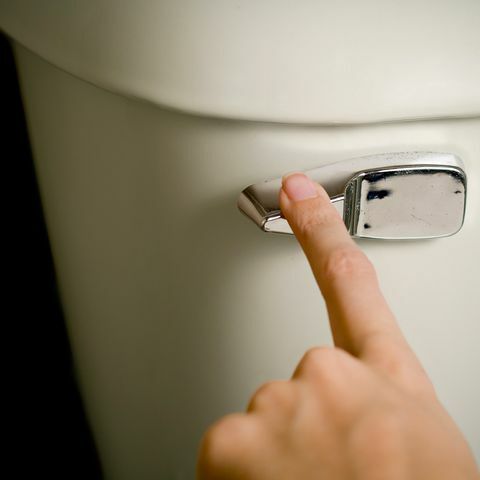 A slow flush is usually a sign of clogging or obstruction somewhere in your plumbing pipes. To test if your toilet’s drain pipes are clogged, fill your toilet bowl with a five-gallon bucket of water and flush as quickly as possible. If the flush uses greater force, your pipes are probably fine; however, if the flush retains the sluggish, poor speed as before, there is most likely a clog somewhere in your plumbing obstructing flow. In these circumstances or any of the others mentioned in this post, it’s important to not hesitate when professional repairs are needed. Doing so can wind up costing you far more than necessary, or cause further damage to your home’s plumbing. Contact Green Apple Plumbing & Mechanical NJ to evaluate and repair your broken, clogged or poor performing toilet can end up saving you hundreds in high water bill or later repair costs. Stepping into an air-conditioned home from a muggy 90-degree day is indeed a relief. If you own an older house and have been using window units, a central A/C unit will be a big improvement, for both convenience and efficiency. 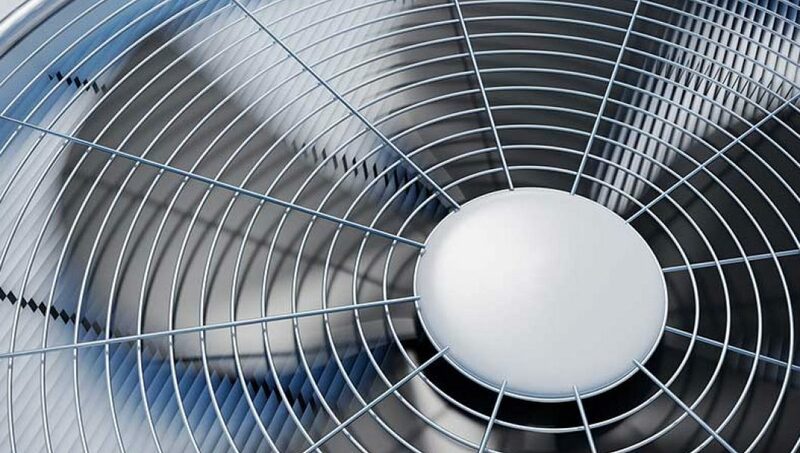 Central air conditioners are often more economical to run than many separate units installed in individual rooms. You’ll also avoid having to set up and take down window units at the beginning and end of every summer. If your home has a central forced air heating system, installation of central air is a relatively easy task because the ductwork and air handling fans are already in place. Adding a cooling coil into the existing air handling system saves the expense of a new or secondary air handler. Homes that have baseboard, radiant and other ductless systems will require a more involved A/C installation. If your home falls into this latter category, there are other options available that may prove less costly or intrusive to install. Some clogs can be resolved without the use of harsh chemicals. 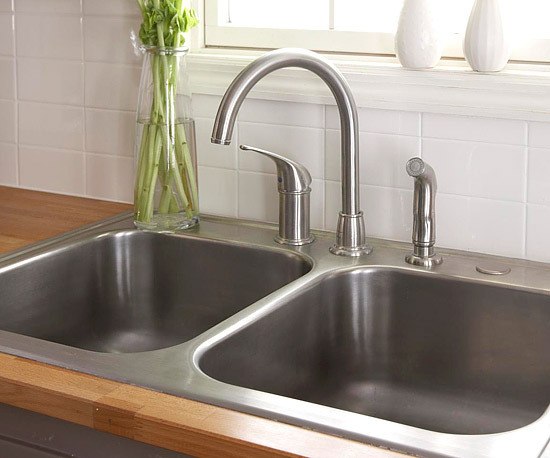 Using baking soda and vinegar to clear a drain clog is a more environmentally friendly way to get the job done. In addition, it is safer for children and pets, and costs less than commercial products. 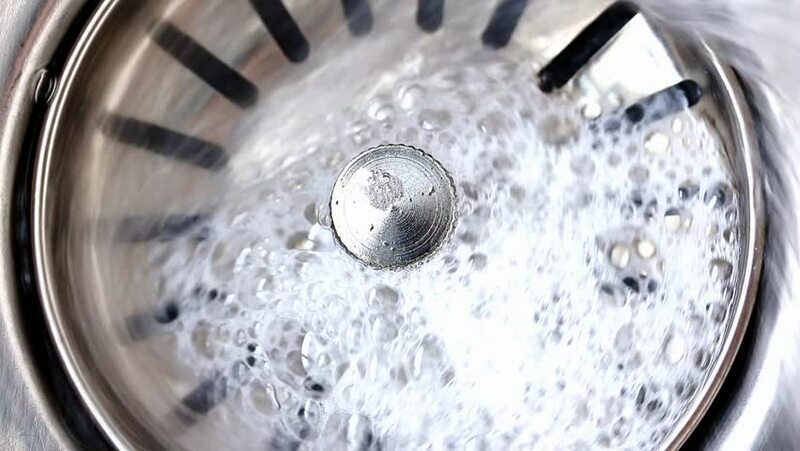 To clear a drain with this method, first, pour a pot of boiling water down the drain. Next, pour one cup of baking soda down the drain, immediately followed by a solution of one cup of water and one cup of vinegar. Cover the drain with a plug and wait five to 10 minutes. Then, flush the drain with boiling water once again. It is also possible to clear a drain manually using a pipe snake or other plumbing tool. These are long, bendy tools that can be inserted into a pipe from the drain end and maneuvered around inside to catch any debris within. Small versions of these tools are often sold with chemical drain cleaning agents. You can also purchase them at a hardware or home improvement store. Another method for clearing a drain is to use a plunger, in the same manner, you would in a toilet. Repeated pressure on the top of the drain can sometimes work wonders on basic clogs. With cold weather soon to be upon us it’s very important to think about scheduling your furnace inspection. An annual inspection ensures that your furnace will work when you need it and prevents costly emergency repairs and health risks in your home. Having your furnace inspected or “tuned up” gives your Green Apple technician an opportunity to check for possible issues and correct them before they turn into problems (or emergencies). Here are some reasons why you should schedule your furnace inspection now. The longer you put off having an annual inspection done on your furnace, the more likely you’re going to have a breakdown (usually when you need your furnace the most). 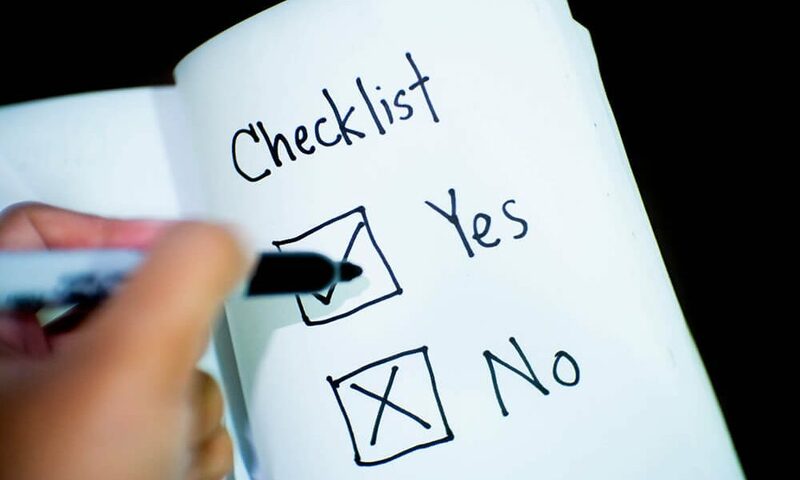 During an inspection, a trained Green Apple technician may very well find small problems that if left unchecked could result in a major repair. Annual maintenance on your furnace guarantees that all the parts in your furnace work together to heat your home safely and reliably for years to come. When the heat exchanger in your furnace becomes cracked, gases like carbon monoxide can escape into your home. Carbon monoxide is colorless, odorless, and potentially deadly. For your family’s safety, it’s important to inspect your furnace regularly to prevent carbon monoxide poisoning. It’s also wise to install a carbon monoxide detector outside of each bedroom to protect and alert family members. A proper inspection includes checking for rust and dirt that can build up on the burners in your furnace. This type of buildup can create pockets that trap gas and cause hot spots on your furnace’s heat exchanger. Preventive maintenance can dramatically lower the chances of problems developing with your furnace. However, preventive maintenance cannot guarantee that a problem will never develop. The longer you have your furnace, the greater the chances will be that you’ll have to deal with a problem between maintenance appointments. If and when you do have a problem occur with your furnace, it’s a good idea to be able to identify issues with the system. If you can identify problems with your furnace faster, you can have it repaired faster and limit the damage. There are a variety of symptoms that might indicate that your furnace is in trouble. Odd noises can often indicate that a part of your furnace is malfunctioning, and might even be on the verge of failure. It’s not a good idea to ignore any strange noises that may be coming from your furnace. You should also call for Green Apple Plumbing & Mechanical NJ professional services if you notice a drop in heating output coming from the system. While tree roots and fats, oils, and grease (FOG) have always been causes of sewer backups, in recent years sewer agencies around the country are dealing with the problem of flushable wipes. Companies have been marketing these products as “flushable” over the last few years, but wastewater professionals are finding out these products are not safe for sewage systems. Flushable wipes are supposed to be biodegradable and break up like toilet paper, but they don’t. These wipes do not disintegrate. They can cling to the interior walls of pipeline and/or get hung up on snags inside the pipes. They accumulate in pump stations and can clog and pumps. De-ragging pumps and unclogging pipes are labor intensive and increase the cost of maintaining your sewer system. Three Extremely Important HVAC Tips To Remember! Disposable filters keep your system clean and take out the large particles from your indoor air. Aim to change them every 1-3 months. If it is is allergy season or you have pets in your home, you may consider replacing your filters more often. We recommend picking a filter rated MERV 7-11. Anything more will reduce the airflow on your system which can put an unnecessary strain on your system and will negatively affect its efficiency, too. If you have an air purification system, follow the manufacturer’s instructions for servicing those filters, too. Most air conditioners have an outdoor condensing unit/heat pump sitting outside with a fan on top to disperse heat in the summer. 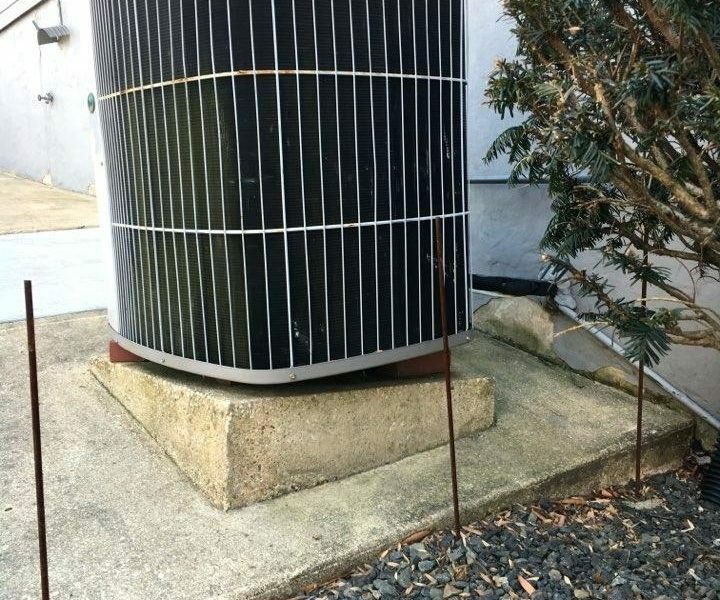 The metal fins on the condensing unit frequently get clogged up with dirt, pollen, and grime. Once each season, spray the outside of the unit with a water hose to clean it. Warning: Do not use a pressure washer because it will permanently damage your unit. 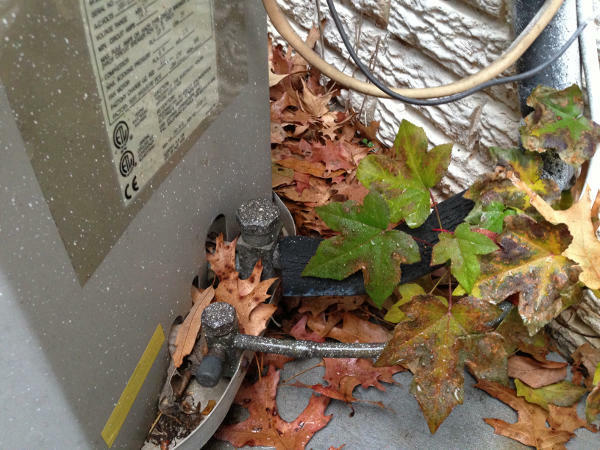 Remove the build-up of leaves and overgrown vegetation so they do not interfere with the airflow of your outdoor unit. You can trim any bushes or trees also so your unit has plenty of clearance, about 2 feet, on all sides. Keep a close eye if you have bushes or trees that give off excessive pollen, such as Cottonwood trees in particular. They are notorious for clogging up condensing units. When a conventional washer-type faucet has to be excessively tightened down each time you shut it off in order to keep it from dripping, or when the faucet develops a drip that won’t stop no matter how hard you tighten it, then prompt repairs are advisable to keep things from getting worse – for example, to keep from damaging the faucet seat and possibly causing extensive damage to the faucet stem itself. Most leaks can be repaired by taking the faucet apart and then installing a new washer at the end of the spindle, as well as replacing the packing or O-ring that goes around the outside of the stem in some cases. However, if you wait too long and keep trying to tighten the faucet down harder in order to stop the drip, then chances are that the valve seat will be damaged. The reason is that when you turn the handle on a washer-type faucet to shut off the flow of water the threaded spindle or stem screws its way down into the faucet body and presses the rubber washer on the end of the stem down against the metal valve seat inside the faucet body, thus closing the opening and shutting off the flow of water. It’s good to be in the habit of switching out your air filters at least every 90 days—and more frequently if you have pets or allergies. Clogged filters force your furnace work harder, which translated into higher utility costs for you. Plus, your air quality will be better when it’s not being pulled through a filthy filter. We all know that warm air rises. To extend the life of your furnace, it’s helpful to push that warm air down into the room. In cooler months, your ceiling fans should be turning clockwise at a low speed, drawing the cool air up and forcing the warm air down along the walls and back to your floors. Continuing along the hot-air-rises theme: If you have a two-story home, consider closing some registers on the second floor and opening more on the first floor. While you’re at it, take the dustbuster to your floor and ceiling registers and wall vents. We recommend setting your heat at 68oF while you’re home and awake and pushing it down a few degrees if you’ll be away for several hours and while you’re sleeping. Not only will this save wear and tear on your HVAC unit, but it will also save you some money over time. There are plenty of preventive measures you can do yourself, but some tasks are best left up to people who know their heat exchangers from their draft inducer motors. By hiring a Green Apple professional to come to check your system—twice per year, ideally—you’ll lessen the chance of a major failure. We will inspect your filter, electrical components, motors, pressure, and more. 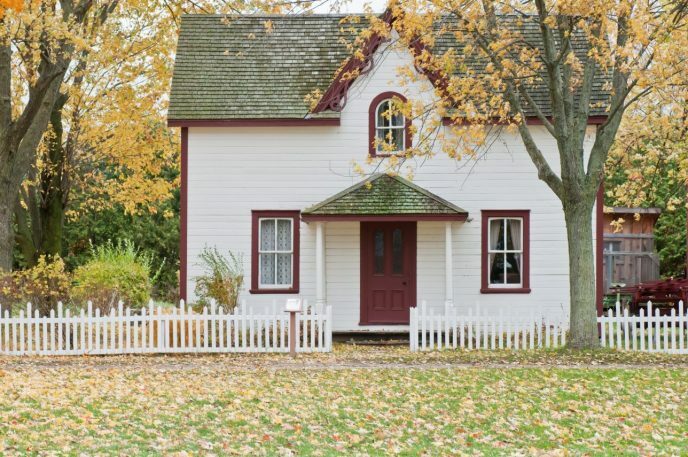 (We’re pleased to offer affordable preventive maintenance plans to homeowners.